Sometimes a title can be misleading but in this case, it’s completely apropos. It turns out The Movie Mind was just pronouncing it wrong. Call it a case of mistaken expectations. 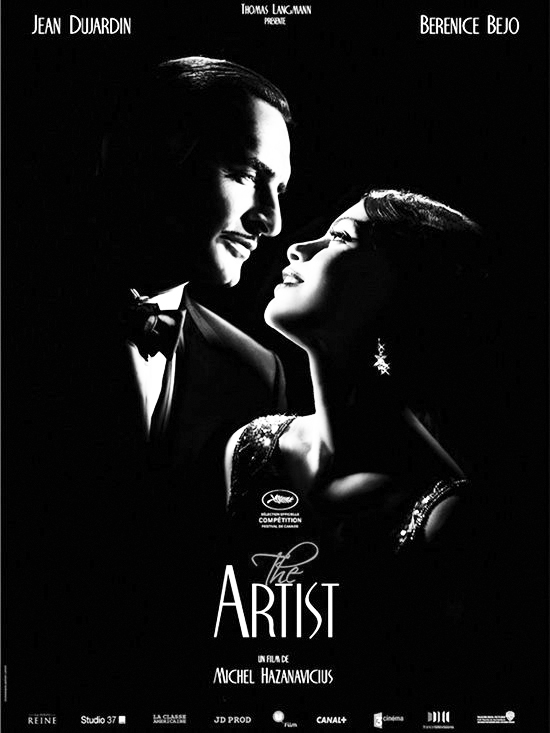 I thought I was going to see a film called The Artist, a truly groundbreaking film that ran away with multiple Oscars including Best Actor, Best Directing, and of course, Best Picture. It turns out I had simply misunderstood what I was going to see. To fully appreciate what I went through while watching this movie, we should first begin calling it by its true name, pronounced, “The Ar-teest”. This is because not even the word “artist” is worthy of having such a filmmaking accomplishment to be attached to it. There’s just something more regal and nobler about calling by its correct annunciation, “Ar-teest”. If you’re feeling worthy, maybe even throw in “Le” in front of “Arteest” instead of plain, ugly old “the”. Surely someone calling himself The Movie Mind must consider himself one of the chosen few who can truly appreciate the splendor of this epic. For if not, they must face the high crime of treason by “true” film critics. Well, in case you haven’t picked up on it by now…I ain’t your standard film critic. And if treason is what I face, then bring it on. This was the biggest piece of self-aggrandizing gimmicky trash I’ve seen to come out of Hollywood in a long time. They can take their best picture and stick it where the sun don’t shine because if they think I’m going to lead any one of my readers astray and point them in the direction of this fraudulent egocentric puff-piece for the sake of being in their “club”, then they must not know that I don’t live on the $75 I’ve made off this site in the last 4 years! This movie made the intellectual set come running down the hills to praise what a brilliant risk the film took by not only going black and white, but also 99% silent! Surely the short-attention span Twitter-generation couldn’t appreciate such raw filmmaking. Except for the single tenet that makes us nobodies and Hollywood all powerful multi-billionaires…the public will like whatever they tell us to like. And damn-it if there’s a Best Picture Oscar behind it then how dare some little peon like me question their all-knowing greatness. For it is Hollywood that pisses excellence and not my irrelevant opinion that means anything. I hate to send this breaking newsflash over to Hollywood but I’m contractually obligated to do so: there’s a reason silent films became extinct in the early 30’s. Films with dialogue and sound were BETTER. I know, novel concept. So forgive me for seeing the irony about a silent film being made in 2011 about an actor whose career is dying because of the transition in the industry to “talkies”, or movies with taped sound. If the guy was no longer relevant in the 30’s because he didn’t talk on film, why the hell are we expected to think he’s relevant now? The bottom line is this: I’m not being contrarian here because I think I’ll lose respect or credibility if I don’t bash this movie. First of all, there’s not much of either for me to be too concerned about. Second of all, how could someone who considers Dumb and Dumber amongst his list of classic films even be intellectually capable of understanding this movie? Truthfully, I think this would have been a neat little film for a 20 minute short. Maybe I’d even give it 30 minutes. It might even be worthy of a few nominations to some regional independent short-film festivals. Just picture it, “A star actor in the silent film era struggles to transition into the new era of talking films while a young beautiful actress he helped get her start rises as fast as he falls”. All told in 20 minutes? Count me in. It also sounds like a pretty cute concept for a student film project. Hell, I won an award as a senior in college for shooting a black and white silent film so I’ve got to have a little soft spot in my heart for The Arteest, right? Well my film was 6 minutes and our film department didn’t have the funds for sound recording or editing equipment so we had no choice. This film had a $15 million budget. Can you imagine what the hell it would have cost with some dialogue? If I was to put my literary snob hat on and get on my knees for a minute of bowing to Hollywood’s brilliance, I would still say this picture was far from an Oscar candidate. The metaphors were completely overt, and the acting was truly average. In a silent film, actors must overact. That’s the only way to convey emotions to the audience without dialogue. I would say just about most actors out there are capable of overacting. The difficult part is getting an actor to look like he’s not acting. If I had to rate the best acting performance overall, I would honestly have to give it to the dog. Seriously, if you do watch this movie you’ll see what I mean. That dog was the star of the show and certainly deserved the Oscar nod over that Jean Dujardin guy. Feel free to take away my critic card or burn me at the movie review stake, but I stand behind my comments 100%. Flip on Turner Classic Movie Channel at any random time and you’ll find a film that measures up to this one. The fact that Scorcese didn’t win an Oscar until 2006 and some French guy who says 2 words and overacts wins it in his first major film just helps validate my argument. If this were the roaring 20’s and people went in tuxes to a theater with a live orchestra playing over silent moving pictures, my review might be different. But it’s not…we have sound, and color, and dialogue; all things proven to be useful in this day and age. You may think I’m dead wrong, but at least you heard me say it. Interesting Cameo Appearance: Joel Murray (better known as the “other brother” to Bill Murray and Brian Doyle-Murray, but also has a handful of notable cameo appearances of his own in Scrooged, The Cable Guy, and my personal favorite, One Crazy Summer) in another very brief appearance as a policeman who plays “fireman” for a critical scene. So… You didn’t like it?